Based on the number of people I know who wait for the Switch version of games to come out, it seems that Nintendo crafted something like the perfect gaming console. How could you improve on it? 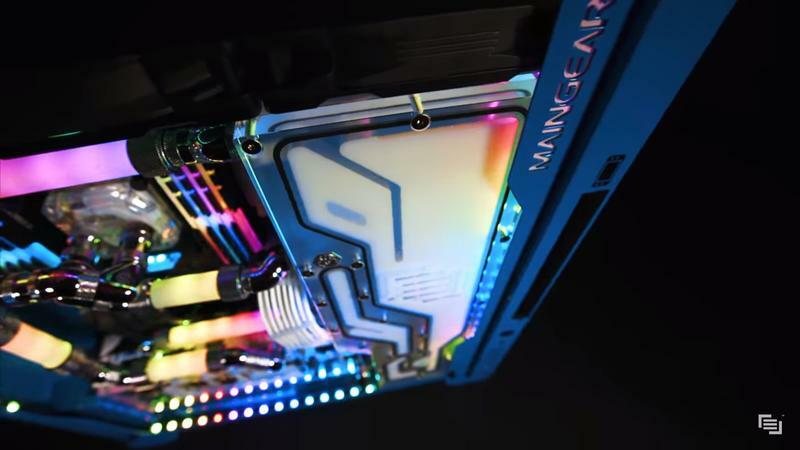 Boutique PC house MAINGEAR figured it out: build a high-end gaming PC around it. 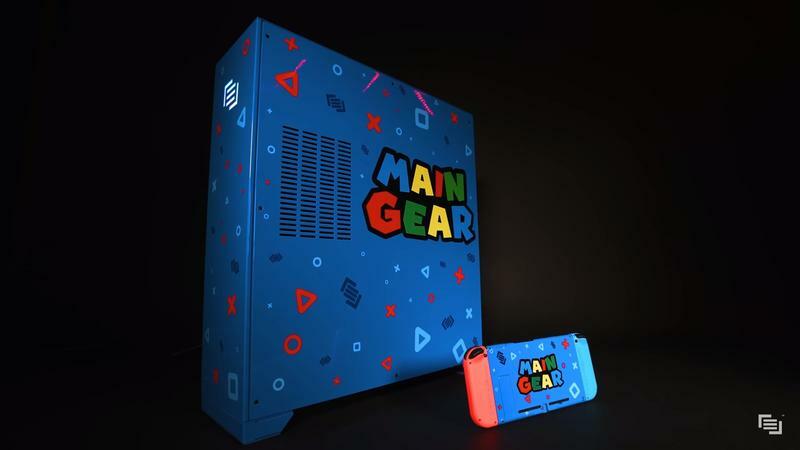 If the dock that comes with the Switch isn’t enough, look to the custom PC MAINGEAR built for Intel’s 2018 Extreme Rig Challenge. 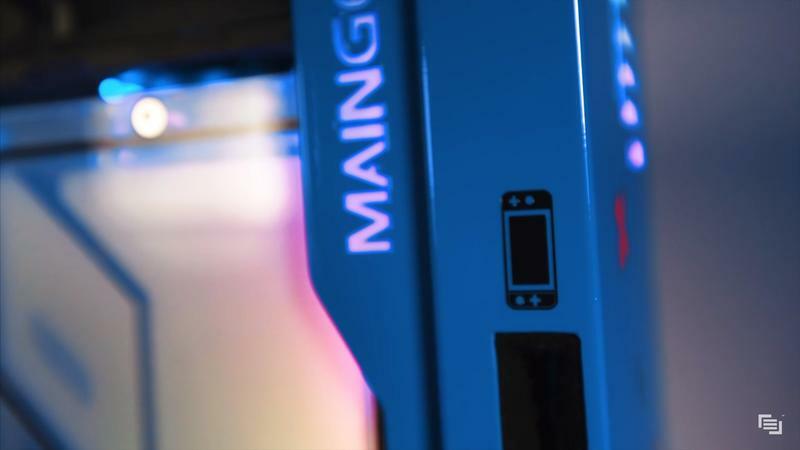 For the challenge, MAINGEAR took its $2,700 F131 gaming PC and built on top of it. 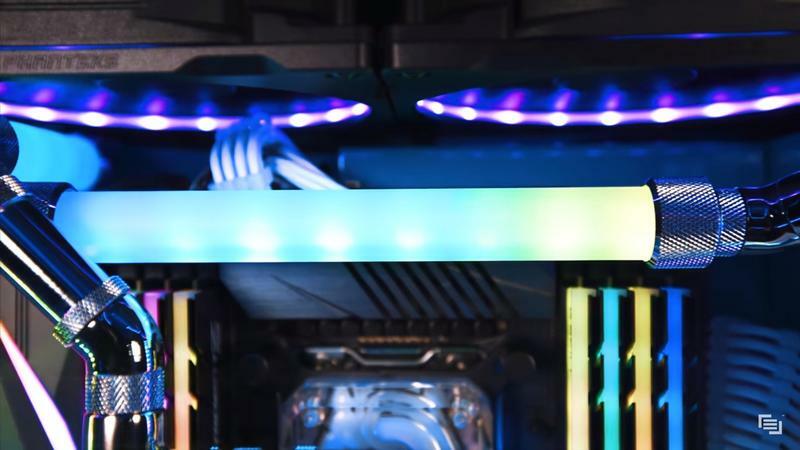 The company loaded it with a core i9-7980XE CPU, 32GB of RAM, two Nvidia GTX 1080 Ti graphics cards, plenty of hard drive space, and all of that good, good RGB LED lighting. 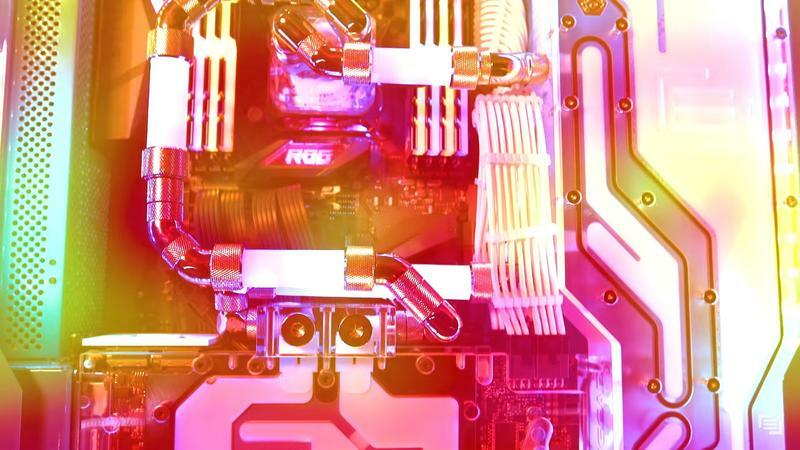 That’s enough to build a very pricey PC – you’re looking at around $3,200 for the CPU and graphics cards alone – but MAINGEAR didn’t stop there. 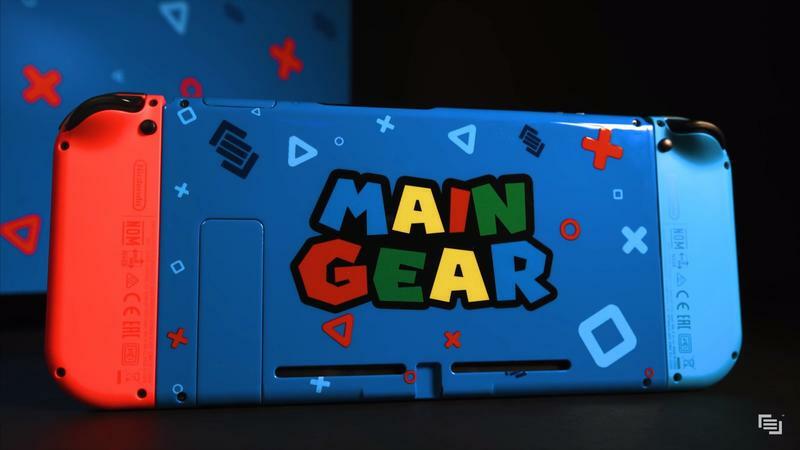 What sets it apart is the slot on the side of the case, designed specifically for the Switch to slot in. 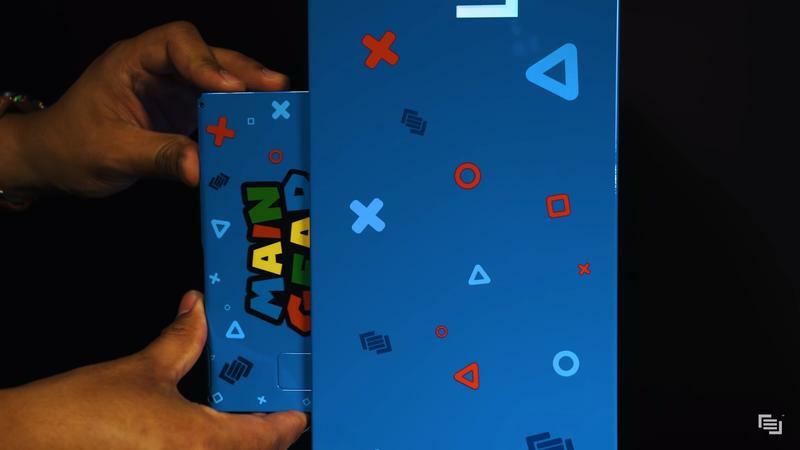 Once plugged in, it connects to an integrated capture card that will let you not only play the game right on your monitor but stream the gameplay out, too. 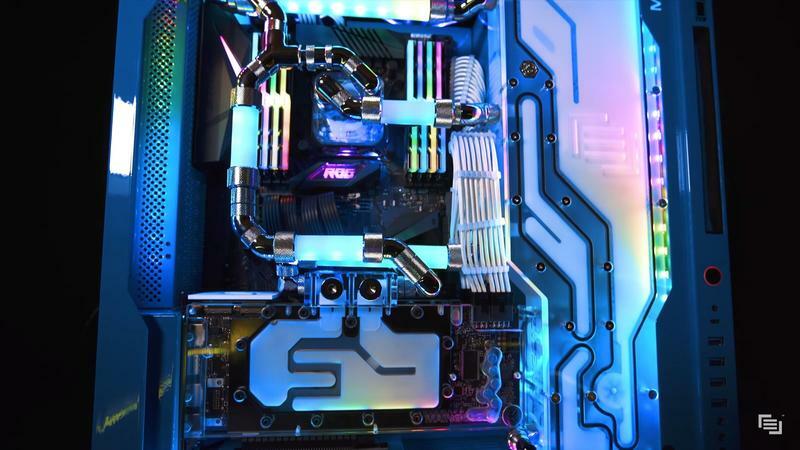 Keep in mind, though, that this is a one-shot PC built for Intel’s challenge, from the liquid cooling loop to the gorgeous Super Mario-inspired paintjob. It’s not for sale. 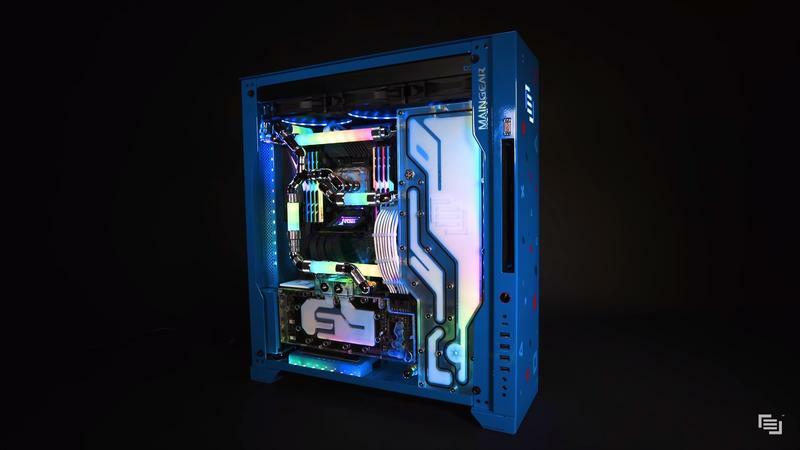 The only way to get it is go to vote for it on Intel’s website and cross your fingers. 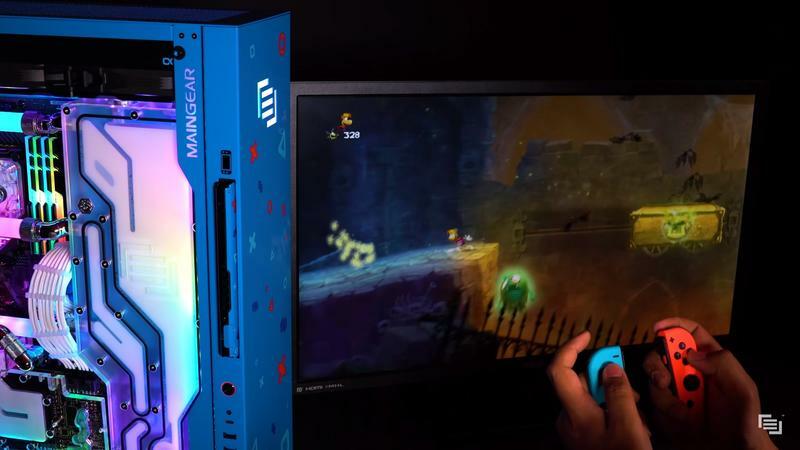 It’s a neat idea for a PC and I wouldn’t be surprised to see a budget-friendly version make it to market at some point in the future, considering how popular the Switch is. For now, most of us are going to just look at the beast and dream.